Amkette True Chat Boomer - Red/Black is a hi-quality headset with booming bass that makes it bigger on audio and bigger on sound. It has been specially designed for gaming and music. It is well suited for Internet cafes, home users, system Integrators and call centers. The inbuilt 40 mm Neodymium speaker drivers gives you high fidelity, natural and a lossless sound experience, for gaming and VOIP calls. In Amkette True Chat Boomer - Red/Black, the soft ear pads and the soft padding headband makes it an ideal companion for marathon gaming sessions. Amkette True Chat Boomer - Red/Black is a hi-quality headset with booming bass that makes it bigger on audio and bigger on sound. It has been specially designed for gaming and music. 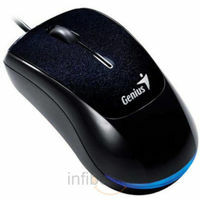 It is well suited for Internet cafes, home users, system Integrators and call centers. The inbuilt 40 mm Neodymium speaker drivers gives you high fidelity, natural and a lossless sound experience, for gaming and VOIP calls. 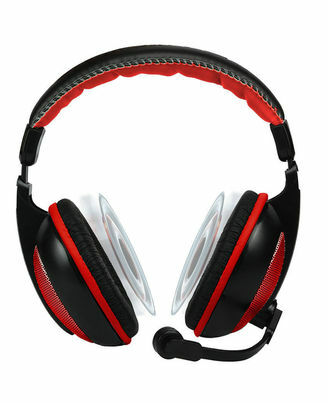 In Amkette True Chat Boomer - Red/Black, the soft ear pads and the soft padding headband makes it an ideal companion for marathon gaming sessions.